5” 7” 9” round tiers. 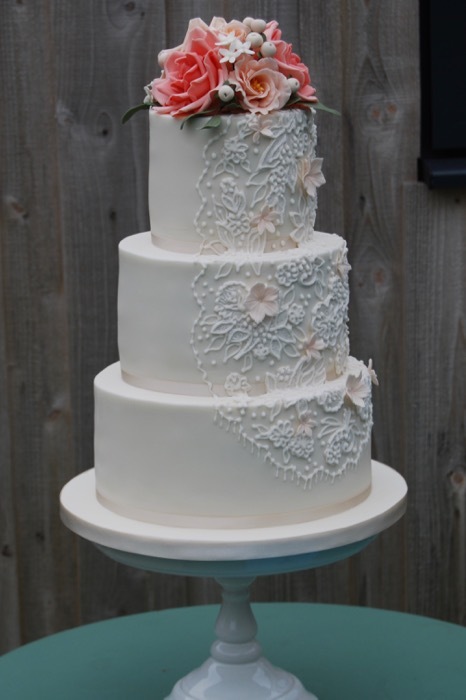 Hand made sugar lace applique with royal icing piped detail. 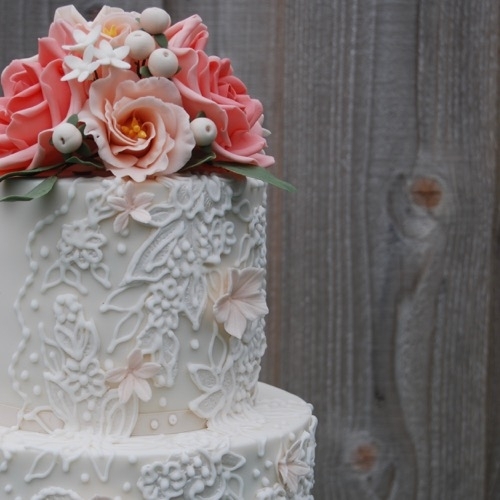 Handmade sugar roses, lisianthus, berries and filler flowers.